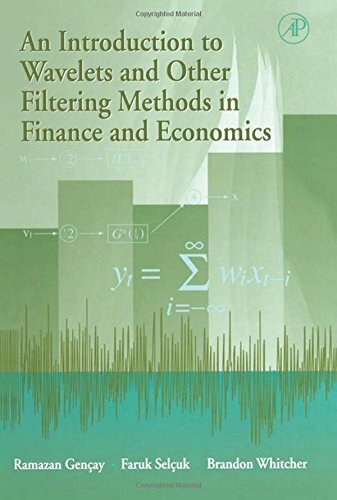 An Introduction to Wavelets and Other Filtering Methods in Finance and Economics presents a unified view of filtering techniques with a special focus on wavelet analysis in finance and economics. It emphasizes the methods and explanations of the theory that underlies them. It also concentrates on exactly what wavelet analysis (and filtering methods in general) can reveal about a time series. It offers testing issues which can be performed with wavelets in conjunction with the multi-resolution analysis. The descriptive focus of the book avoids proofs and provides easy access to a wide spectrum of parametric and nonparametric filtering methods. Examples and empirical applications will show readers the capabilities, advantages, and disadvantages of each method. If you have any questions about this product by Ramazan Gencay, contact us by completing and submitting the form below. If you are looking for a specif part number, please include it with your message.